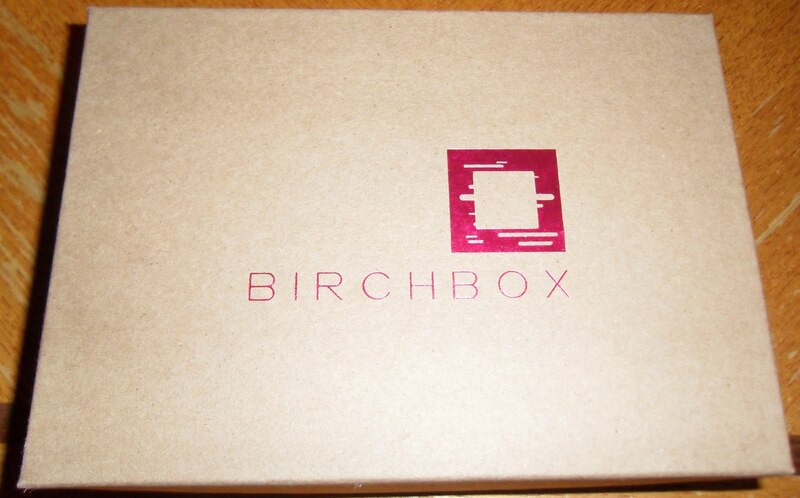 Thrifty and Frugal Living: Birchbox: How You Can Score Luxury Samples in Your Mailbox! Birchbox: How You Can Score Luxury Samples in Your Mailbox! Don't you just love how pretty the wrapping is too? It makes it really feel like a present. The cardboard box it comes in is ever pretty nice and can be reused. What if I tell you that a Birchbox is only $10 Shipped? That is an amazing deal, right? I know most of you are used to free samples, but they are not samples of this quality. These are luxury samples of products that you rarely (if ever) get to try for free. Plus, there are often full size products included in a Birchbox. There is also a card that comes with your Birchbox that tells you the name, details and retail price of each item. I managed to misplace my card, so it didn't make it into the picture. *FULL SIZE Laura Geller Blush -N- Brighten in Honey Dipped (ARV $29.50! ): The blush is too dark to use on my cheeks, but I have been using it all over my face to brighten and tan my pale skin. It is a honey gold with faint sparkles, so it works really well as a bronzer. *1.8oz Pangea Organics Facial Toner in Italian Green Mandarin & Sweet Lime: The Facial Toner is a mist and is absolutely blissful. I have always loved the way toner makes your skin feel. The Toner has a great scent and is so quick and easy to use in it's spray on format. *2 Deborah Lippmann Stripper To Go Finger Mitts: These finger mitts are for removing your nail polish. You simply slip the mitt onto your finger and scrub away. I accidentally wasted my first mitt by dumping the polish out of the packet and letting the mitt dry while I cleaned it up. You have to be careful opening these and use them right away. The second mitt did a great job of removing all of the dark nail polish from my finger nails. *5ml bottle of Oscar Blandi Olio di Jasmine Hair Serum: This is not something I would have normally purchased, however I love it. It gives your hair a nice scent while making it soft, smooth and shiny. It can also protect your hair from heat when you put it on wet hair before blow drying. *1.5ml sample of Twirl by Kate Spade: This perfume is described as "This fruity floral gets its cheerful, flirty vibe from a combination of top notes of watermelon, blackberry, and red currant and a middle layer of orange blossom, jasmine, and magnolia. Musk and a dose of French macaroons balance the composition and add an undercurrent of sophistication." On my skin, the perfume smells more musky and complex then fruity, but in a good way. I love the smell and have been using this sample for special occasions to make it last. What if you like your samples a lot and want to purchase the full size? Birchbox has you covered there too. You can purchase all the full size items in their store. You even get loyalty points to use towards full size purchases when you buy a Birchbox. You get 10 points for every month you subscribe or 100 points for a yearly membership (which is discounted to $110). 100 points= $10 off full size products. 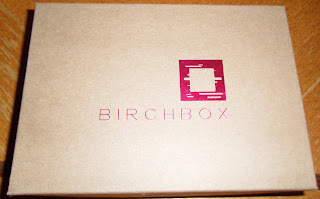 I love Birchbox so much that I already signed up for July's Birchbox. If you sign up before July 15th, you can join me and get July's! You will be able to take a small survey after you sign up to help them pick the best products for you. What are you waiting for? Join me and we will compare boxes this month! Disclaimer: I received the above product(s) for free in exchange for this review. I was not compensated in any other way. All opinions are 100% my own. I absolutely love Birchbox! I have had it for 3 months now. They always have the best products and I'm always so happy with the items I receive. I love Laura Gellar, and the finger mitts sound interesting. What a fun idea! I love the Laura Gellar product! :) I have received two birchboxes so far! I love it, it's a great bargain. I also am a nerd but I love the cardboard box it comes in! These look super cool I am going to have to search again how to sign up. As long as I dont have to worry about it coming every month without permission! Do you ever know what will be in in, or is completely random each time? This sounds really interesting!! I liked them on FB so I can read more about their company and see their updates! This sounds like a great present idea for someone. Do they come at the end of every month?